Flooding is a natural phenomenon and has a devastating impact on communities. It cannot be entirely prevented but by working together we can plan to effectively manage the risk. What are the effects of flooding? The effects of flooding are wide ranging, impacting on the economy, social wellbeing and the environment. For individuals and communities the impact can be significant in terms of personal suffering and financial loss and, even where flooding has natural causes, it can have damaging effects on the environment. Essential services such as mains water, electricity and transport can be disrupted. Property and possessions can be damaged and most seriously, flooding can result in injury and death. To achieve its objectives, the Directive will address flood risk in Northern Ireland on a catchment-wide scale. This is because flooding problems may be affected by the characteristics of the catchment. A catchment is an area drained, either naturally or with artificial assistance, by a watercourse, including all drainage channels, tributaries, floodplains, estuaries and areas of water storage. The Floods Directive requires consideration of flooding by sea, rivers and lakes, surface water and reservoirs. By assessing the ‘bigger picture’ we can ensure that the flood risk is fully understood which will help us make sustainable, long term decisions. Flood risk management through the Floods Directive takes place alongside government’s ongoing programme of drainage and flood alleviation measures. The Northern Ireland legislation to enable the Directive was introduced in 2009 and is called The Water Environment (Floods Directive) Regulations (Northern Ireland) 2009. 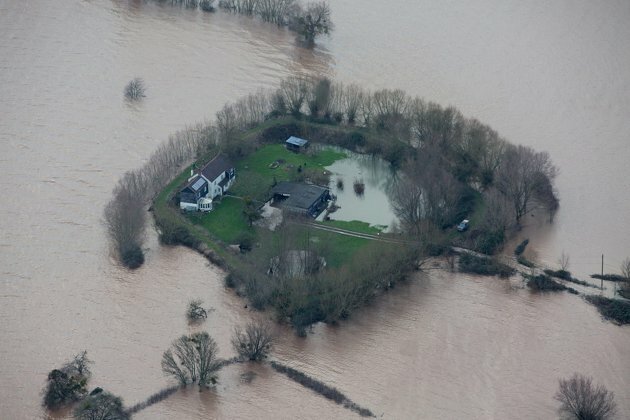 The legislation requires the completion of the preliminary flood risk assessment by December 2011, flood risk and flood hazard maps for significant risk areas by December 2013 and flood risk management plans by 2015. The plans will set out our objectives, measures and an action plan for managing flood risk. The map and table below show the areas which we have identified as the Significant Flood Risk Areas (SFRA) and additionial Areas for Further Investigation (AFI). This is a critical milestone in the implementation of the EU Directive as it identifies the areas for which we are required to produce flood risk management plans. Flood risk is a measure of the statistical probability that flooding will occur combined with the adverse consequences of the flooding. The assessment of future flood risk therefore requires a detailed understanding of the flood mechanisms for each source of flooding, the magnitude and statistical probability of flood events and the scale of the potential adverse consequences arising from these events. The extent of the potential future flood hazards for each source of flooding for a range of return periods was determined using predictive flood inundation models developed by DfI Rivers for rivers, sea and surface water. Although strategic in nature these models have been developed using best practice methodologies that utilise the available topographical and land use data. For each area we have provided details of the flood source and the impact it could potentially have on the people, places, infrastructure and activities in that area. This report contains a narrative which describes the adverse consequences of major floods which occurred in the past but also focuses on the quantification and measurement of the potential adverse consequences of floods that may occur in the future. Flood Maps (NI) shows the areas in Northern Ireland that have flooded from rivers and the sea in the past and those which may be prone to flooding now and in the future. It also shows where existing flood defences are located and highlights the areas that benefit from these. Please note, the map illustrates a national assessment of flood prone areas but it is not sufficiently accurate to determine the flood risk to individual properties or specific point locations. Please also note that it currently does not illustrate flooding from sources such as reservoirs. Using the latest modelling technology DfI Rivers has produced a 5 minute animation to better illustrate the impact of a tidal flood event on Belfast. The animation builds on the information available from 2008 in the Strategic Flood Map by indicating flow paths, the speed with which flooding will happen and water depths. Most importantly, it shows how a tidal flood is likely to develop over the tidal cycle. The likelihood of a coastal flood is considered to be low, however, it is clear that the consequences or impacts of such an event would be very high. The animation is based on a one in 200 year event. To watch the animation, please click on the link below. Please note, you will require a video player that supports mp4 files in order to watch this. If you are experiencing difficulties with this animation, please contact us and we will provide an alternative format for you. Who is involved in managing the risk of flooding?